Home » Women's Fat Burners » Curvelle Review: Does this Fat Burner Work for Women? Curvelle Review Conclusion: A sensible ingredient formula, a reasonable price, and a fully honored back money back guarantee (when ordered direct) makes Curvelle one of the few products we have no hestiations recommending. The money back guarantee is what does it for us… it allows you to experiment, without risking your hard earned cash. Curvelle, the fat burner for women! 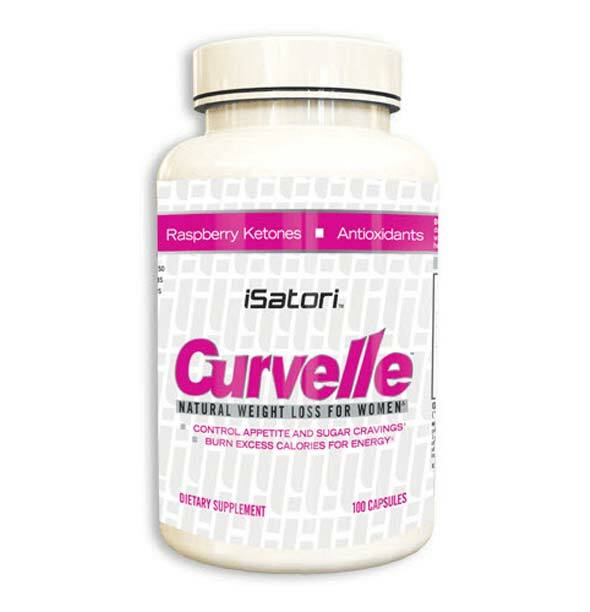 Curvelle is a fat burner designed specifically for women. Curvelle is made by Isatori, the company that makes Lean System 7 (now discontinued), MX-LS7 (Maximum Strength Lean System 7, reviewed here), and several other quality products. First off, I should say that I genuinely like both Isatori and their products. I’ve tried almost every product they make, and found them to be class-leading in almost all categories. The other thing I like about Isatori is that they are one of the few companies that offer a 100% no questions asked money back guarantee, should you order directly from them. It essentially eliminates almost all of the risk from a purchase (to obtain your refund, you’ll have to return the empty bottle, so you’ll be out the shipping – a couple of dollars at most). Needless to say, I was interested in taking a closer look at Curvelle… especially after seeing truckloads of the stuff at my local Wal-Mart. Contains antioxidants to enhance your health and radiance. What are the Curvelle ingredients? Curvelle contains a 683 mg proprietary blend of ingredients. Proprietary blends identify the ingredients the product contains, but not the dosage at which they are present. I’m not a big fan of “proprietary blends,” because without knowing the specifics of the individual ingredients, it’s hard to assess the efficacy of the product. In other words, you can’t tell whether an effective dose is included or not. The combination of green tea (standardized for caffeine and ECGC) and caffeine has been demonstrated to be effective for weight loss (Obes Res. 2005 Jul; 13(7): 1195-204). Therefore, it makes sense to have it in Curvelle. Caffeine on its own, of course, also elevates the metabolism slightly. I like the fact that this is a slow-release formula that gives a nice, even boost of energy, as opposed to dumping it all into your system at once, which can lead to jitters, and later, a massive energy crash. Well, Cinnulin PF® is actually a cinnamon extract that has some interesting implications for weight loss. 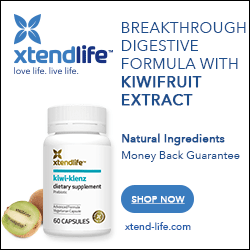 Studies show it can improve insulin function, improve the glucose and lipid profiles of diabetics, as well as deliver other weight-loss related benefits (check this link for more benefits and datasheets). The improvement of insulin function is of great importance to dieters. It is the rapidly “up and down-ing” of blood sugar that leads to depressed energy levels and craving for simple carbohydrates that derails the success of so many dieters. So it would go to follow that Curvelle would be helpful for suppressing cravings for sugar, sweets, and starchy carbohydrates. Curvelle also contains Razberi-K™, or raspberry ketones. You may have heard of raspberry keyones on the Dr. Oz show. Raspberry ketones are similar in structure to capsaicin and synephrine, two compounds thought to enhance weight loss via the stimulation of norepinephrine (although real evidence to validate this theory is in short supply). Of course, the problem is that this is an animal study. So while raspberry ketones do show promise, their effect has yet to be demonstrated in any credible human studies. Wrapping up the ingredient list is elderberry extract. It’s rich in anthocyanins and antioxidants which have been shown to improve internal health and help fight off the oxidative stress of aging, pollution and so on. More interestingly however, is the fact that elderberry is rich in an anthocyanin called cyanidin-3-glucoside, or C3G. Preliminary animal studies definitely indicate that C3G shows a tendency to reduce body fat and improve carbohydrate metabolism. Again, interesting and promising, but not yet proven in humans. I tried this product so this Curvelle review could contain some personal feedback, and so I could report its results to you here. It gave a nice smooth energy boost that was subtle – I almost didn’t notice it until I realized how alert I was. I definitely noticed a reduction of carb craving too. The caps definitely had a raspberry smell. 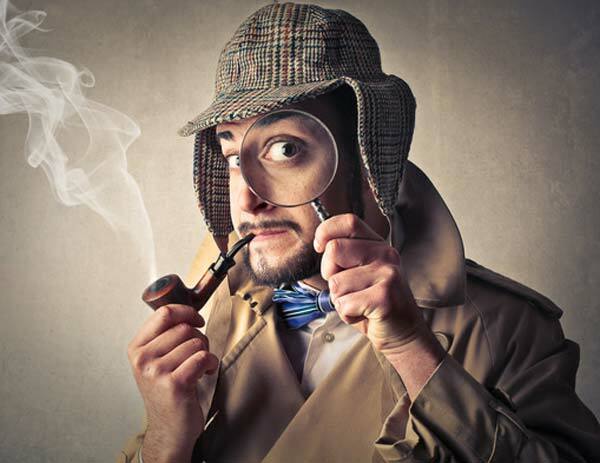 Of course, I’m just one person, and my experience is not evidence of anything – it’s anecdotal. But I can definitely attest that this product is nice and “smooth”; no jitters or crashes. Curvelle contains a unique formula with some proven and some unproved, yet promising ingredients. And it’s ideal for you ladies who want something that helps with the “battle of the bulge” but doesn’t make you feel like you drank 8 cups of coffee. I have to provide the usual warning: If you’re looking for a miracle pill, this isn’t it. Curvelle won’t let you “eat all you want and still lose weight” (of course, no such product exists!). It may make your life easier so you can more easily adopt the sort of lifestyle changes that are necesary for weight loss. It’s nice and smooth and will give you a subtle boost without the jitters. No crashing either, so that’s a bonus. It’s protected by a 100% money back guarantee, if ordered direct from Isatori, the manufacturer. Sure, a lot of companies claim to offer this, but when you try to take them up on their offer, they suddenly aren’t that easy to get ahold of all of a sudden. That means you assume very little risk by trying the product. Return for a refund (minus shipping and handling). While personal feedback is always anecdotal and should always be taken with a “grain of salt,” I’ve never seen a product that garners such a positive response. The occasional satisfied customer is not out of the ordinary, but legions of raving fans certainly is. At first glance, it certainly appears that Isatori has created a product that really does address the needs of women. That makes it easy for me to recommend it! Try it in combination with a good diet and exercise program. If you honestly didn’t find it helped you, ask for your money back. Here’s the link: Click here to order Curvelle direct today!